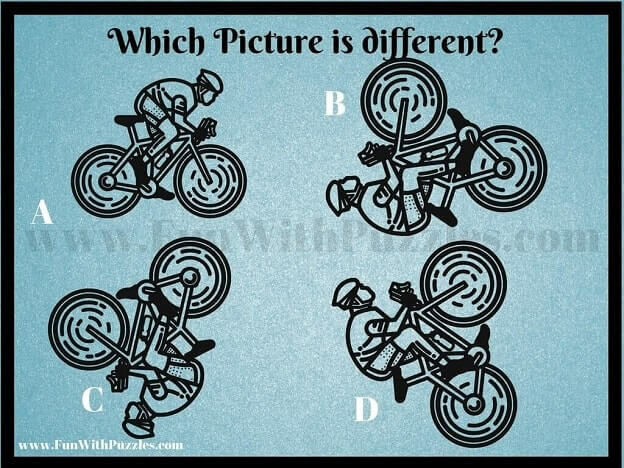 Few day back we have published Fun Picture Puzzles for Kids and Fun Picture Puzzles for Teens. 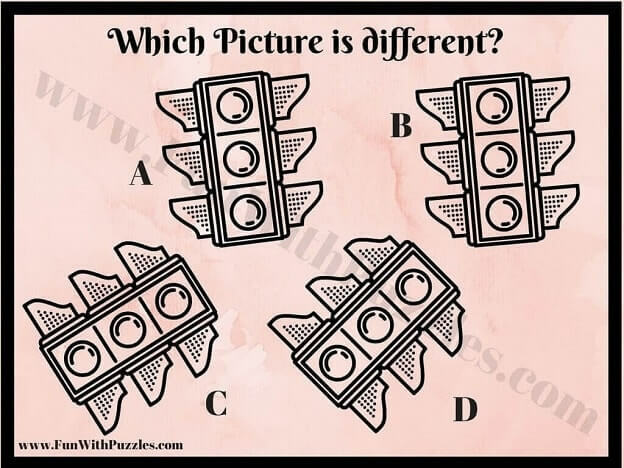 Picture Puzzles for Kids were very easy Odd One Out Puzzles while Picture Puzzles for Teens were of medium level of difficulty. Now its time to published very tough puzzles. 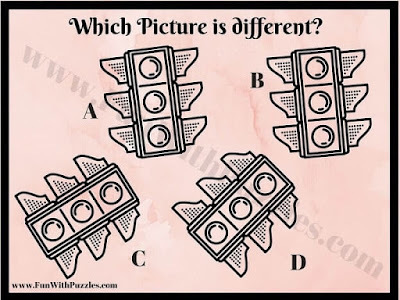 There Picture Brain Teasers are for adults or for higher school students as these Odd One Out Puzzles are very tough. 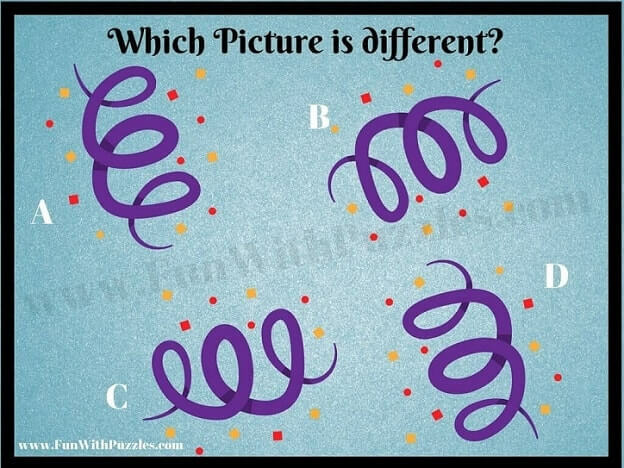 In each of these Picture Brain Teasers there are four similar looking Picture Puzzle Images. 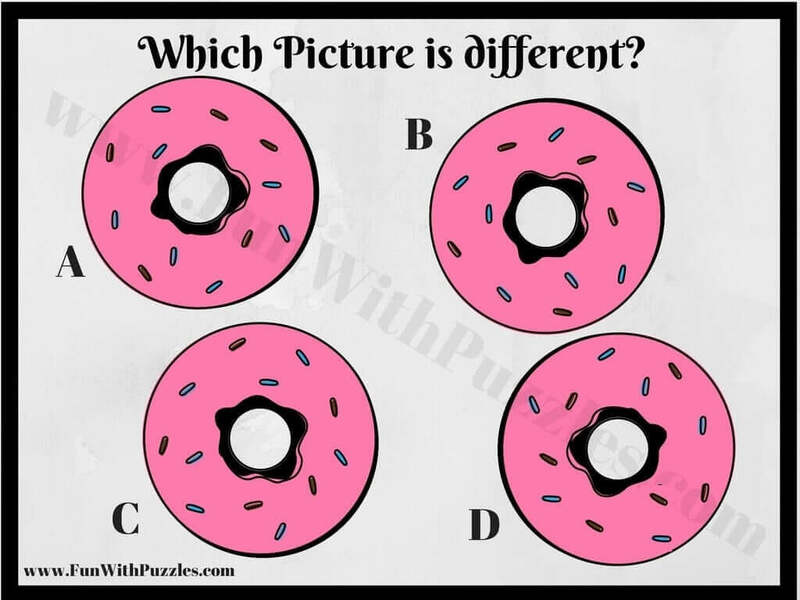 Three of these Puzzle Images are exactly same but there is one image which is slightly different from other three picture puzzle image. Your challenge is to find this Odd One Out Picture Image. 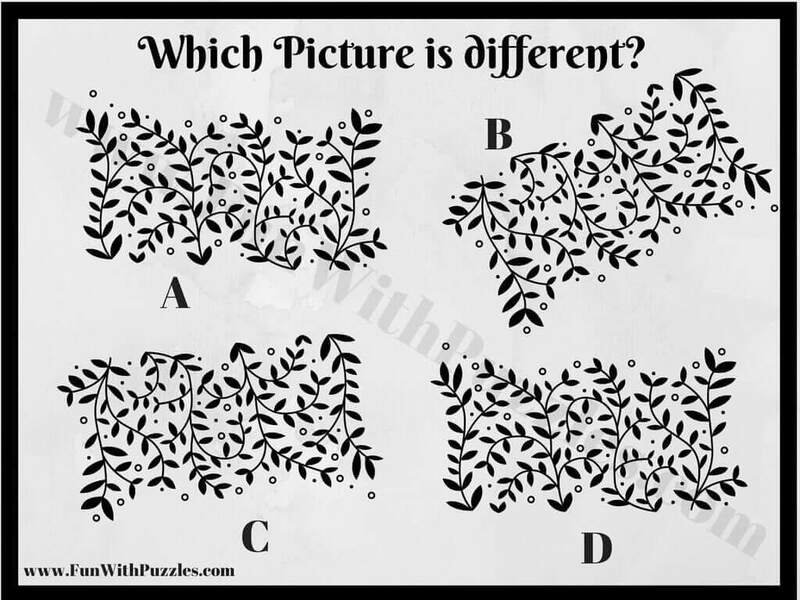 These Picture Puzzles are arranged in the order of difficulty with 1st one being the easiest one and last one being the toughest one. 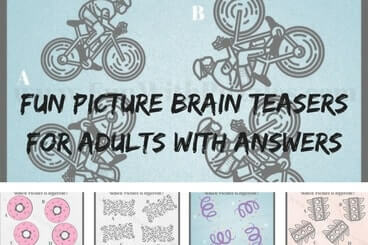 Answers to these Picture Brain Teasers are given at the end. 3. Can you find which Picture is Different? 4. Can you spot the Odd One Out? 5. Can you spot which picture is different? 1. 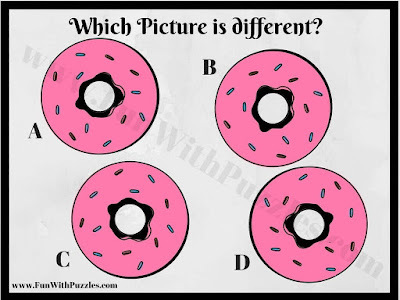 Genius Odd One Out Puzzles: These are very tough Odd One Out Picture Puzzles. 2. 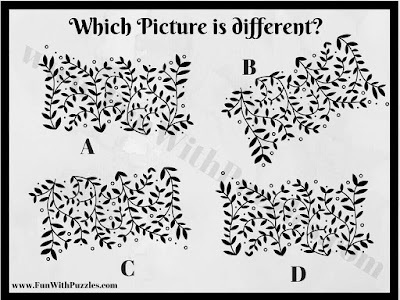 Finding Hidden Letter Picture Puzzles: In these picture brain teasers, one has to find the hidden letter in the given pattern of similar looking letters. 3. 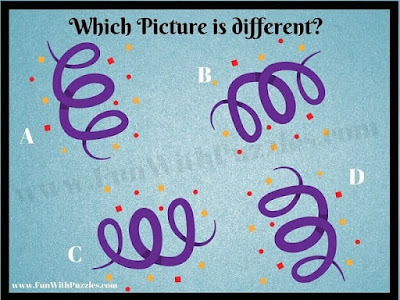 Can you find the mistake Puzzles: These are the picture brain teasers in which one has to find the mistake in the given picture puzzles images. 4. Finding Hidden Faces picture puzzles: These are the picture puzzles in which one has to find the hidden faces in the given picture puzzle images.